Natural stone tile is a preferred flooring product for many reasons. This type of flooring surface enhances and beautifies the interior of the property, and it also increases property value. Natural stone is virtually maintenance-free and will last forever. Stone has been widely used as a construction material for thousands of years. The product is readily available, and those who use stone as a building material have a wide variety of colors, styles, and textures from which to choose. The one problem with stone is its density. Until recently, shipping natural stone tiles involved prohibitive freight charges, but specialized importers/distributors now make ownership of top-quality marble, granite, and travertine much more affordable. 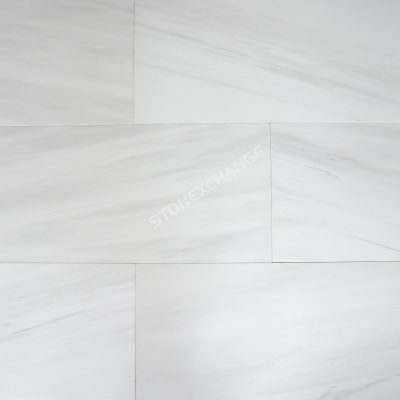 Stonexchange is one of the nation’s premier importers and distributors of stone tile products. We offer commercial customers the most popular styles of granite, marble, travertine, pavers, and pool copings. We also have matching window sills, floor saddles, and shower curbs. Our products are available 12 months of the year, and we ship directly to customers from our Miami-based distribution center. Granite and marble are the two most popularly used stone products where flooring tile is concerned. Both are quite dense, stand up well to scuffing, and require only an occasional polishing. Granite and marble tiles are cut from thin sheets of stone taken from quarries located throughout the world. Southern Europe and Turkey are known for their extraordinarily beautiful marble deposits. Marble is extracted using specialized cutting saws, sliced into slabs, and sent to a fabrication center for final shaping. The resulting tiles are then polished or honed, packed into large crates, and loaded onto a transatlantic container ship. When set upon a floor surface, marble or granite stones become an immediate and positive investment in the property. Other types of floor surface materials such as hardwood or carpet do not retain their initial value because of the potential for damage from moisture, sharp impacts, and scuffing. Natural stone may cost a bit more at first, but the residential or commercial property will carry a higher overall value because of the utilization of this prime building material. Commercial developers prefer to showcase several different home or office interiors during a project’s construction phase. Potential buyers or renters have the opportunity to see exactly how each color or style of marble, granite, or travertine will look in a kitchen, living area, foyer, or bedroom. This choice of styles results in greater interest on the part of the buyer. He or she will get a feel of how a marble or granite floor becomes a lasting investment in the property itself. Much like choosing an automobile model involves careful consideration of the ongoing costs of ownership, real estate purchases are made after studying the probable costs of property upkeep. Flooring tile wholesalers buy product directly from a quarrying operation. The product may be in a finished condition, ready for installation. Because an importer buys material in bulk, the per-piece cost is quite low, assuming that the retailer or end-user also purchases full crate loads of flooring tile. This is where the cost savings for the retailer are greatest. Ordering marble or granite in small quantities means a higher cost for each tile. On the other hand, ordering hundreds or even thousands of pieces involves a cost that is competitive with less valuable product types such as ceramic or engineered stone tile. Construction companies subcontract specialized installers to lay flooring tiles in commercial or residential properties. The property developer must draw up a preliminary budget that outlines the probable cost of all materials and labor. This is done when submitting a project bid. If the cost of marble or granite tile is too high, it becomes difficult to attract interest from a subcontractor. However, buying natural stone tiles from a direct importer and wholesale distributor means incredible savings on top-quality marble, granite, or travertine. The installer will have all the material required to complete the job, and the order can contain a mixed selection of product. Flooring companies that stock this material will be able to attract a greater number of commercial customers if the inventory is always full. The shipping of marble, granite, or other natural stone products is a very specialized business. Importation involves not only the freight charges but also certain tariffs and fees. Most ocean freight companies charge by the crate or container, meaning full crates cost less when it comes to the final per-piece price. This is why Stonexchange orders full crates on a continuous basis. We maintain a full inventory at our Florida-based distribution center. Rather than selling direct to the public, Stonexchange offers bulk shipments of stone tile product to flooring companies, home improvement centers, and independent tile installers. We have a minimum order requirement in order to provide our commercial customers with the most competitive per-piece costs in the industry. One of the problems encountered by retailers is how to maintain a full inventory of product at an affordable price. At any given time, an installer may come into a retail outlet and ask about the availability of a particular type of stone tile. He or she may need hundreds or even thousands of pieces to complete a project. It certainly makes the retailer look good if a promise of delivery can be written on the date required by the buyer. Cutting out the middle man means a cost savings for the retailer. The ability to order the world’s finest stone tile products at rock bottom prices is exactly what a flooring company wants. Our company is in direct partnership or has part ownership in manufacturing operations, meaning that the retailer has a direct, one-party link to the actual quarrying and fabrication process. Custom orders involving non-standard size flooring tiles usually means higher prices and a lengthy wait period. We solve this problem for our commercial clients because we oversee all of the manufacturing of tiles distributed by our company. Certain non-standard piece size orders may involve a lead time of two or three months, but we do not charge extra for customized tiles. We can also set up a recurring order schedule for custom orders, and our price does not increase when this service is extended to our clients. We stock all of the familiar color shades of marble and granite. Orders may call for the use of a particular shade and texture as outlined in the building plans. We will match any shade and guarantee satisfaction on the part of the client. This is important because of the many different shades available, especially when it comes to selecting marble as the flooring product. We stock crema, cappuccino, French patterns, and several different rosy shades. Our marketing team has plenty of experience in matching specific shades to the generic name given on a building instruction. Our bulk ordering process also means that the installer will have plenty of placement patterns from which to choose, guaranteeing satisfaction on the part of the end-user. Although the building season tends to slow during the winter months, our product is always available. In southern climates, the mild winter allows construction to continue, and retailers will be happy to know that our company carries all of the popular marble, granite, and travertine shades throughout the calendar year. This is because we order bulk shipments on a continuous schedule in order to keep our warehouse full. Orders placed by our commercial customers are packed into specialized shipping crates, loaded onto vans, and sent to every corner of the nation. We have ongoing accounts with some of the most reputable overland shippers and thus enjoy lower than average domestic shipping rates. We pass this savings on to our clients. We deliver to retailers, flooring company chains, and even directly to job sites. Our product is ready for unpacking and storing as soon as it arrives at its destination. Our company’s quality control procedures include visual inspection of product, complete protection of tiles through the use of cushioning materials, and careful stacking of our delivery crates. Special orders containing non-standard sizes or shapes of tile are sent directly to us from our overseas manufacturing operation. These orders are also distributed from our Florida-based warehouse and sent overland to the commercial customer. Our low prices do not mean inferior quality. It means a smart way to purchase beautiful, natural stone tile products at wholesale cost. We at Stonexchange invite all interested parties to contact us directly for information on our stone tiles, window sills, thresholds, or other products. Marble, granite, and other natural stone tiles can be purchased from one of thousands of outlets located around the globe. However, the best prices, best service, and most dependable delivery of product mean doing business with Stonexchange. We guarantee complete satisfaction with our product quality, and we look forward to serving yet another commercial client.